It's not that I don't love you -- I do, honest I do -- it's just that since moving house and having a baby I seem to find it impossible to actually locate things I've made, photograph them and then remember which SD card they're on. Anyway, I'm just going to have to let it go and show you what craft-related items I have on my laptop right now (oh, and the death of a laptop has not been helpful in my quest to locate and file). OK, after a long search, I've found... some baby booties. 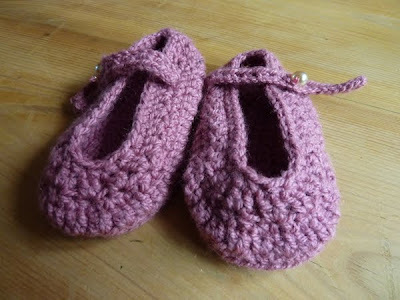 After that, I put them in my craft bag where they make me smile and where a baby can't seek and destroy. I just found you blog hopping and I absolutely love your blog. 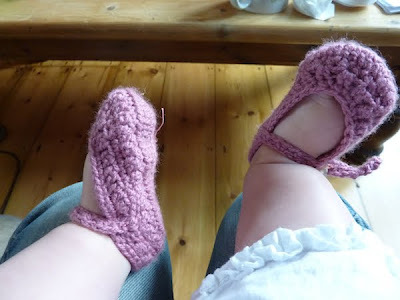 I love finding other mothers who love to crochet and do other crafty things. It really does keep us sane doesn't it. :) Take care.